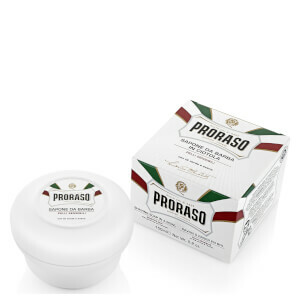 Enjoy a close and comfortable shaving experience with the Proraso Shaving Cream Tube - Protective. Producing a rich and luxurious lather, the cream effectively softens your beard hairs to allow for smoother and easier razor glide, helping to minimise the risk of redness and irritation. Formulated with an expert blend of aloe vera and vitamin E, it nourishes and conditions your skin, leaving it silky soft, smooth and supple. - L.M. This is an excellent product. Have used lots of different shaving creams over the many years since I started shaving and have not found anything that comes anywhere near this for smoothness and after shave skin care.